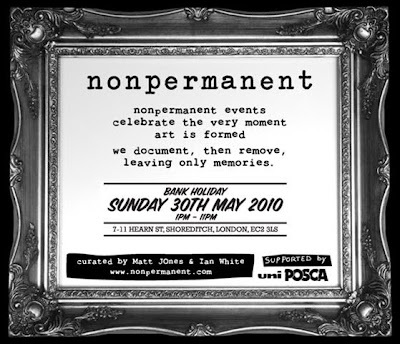 Public participation illustration event Non-permanent comes to Street Fest this Bank Holiday weekend. Non-permanent is a project curated by Matt JOnes & Ian White, two artists who will show you how it's done, then it is over to you to fill in the rest of the clean white wall with characters, creatures and crazy creations. Special guest artists include the rather talented duo Ian Stevenson & Sichi.